The author of "Happier at Home" and "The Happiness Project," Both books became New York Times bestsellers. The newest book "Better Than Before", released March 17, 2015. 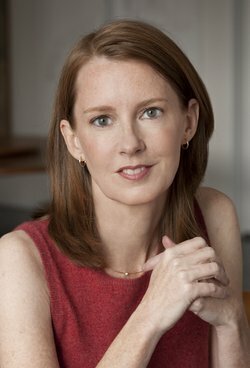 On her blog, www.gretchenrubin.com, she writes about her daily adventures in happiness. I wanted more from this book. I don't know, maybe I thought it was more self-help than memoir. I still enjoyed it though, just differently than I thought I would. 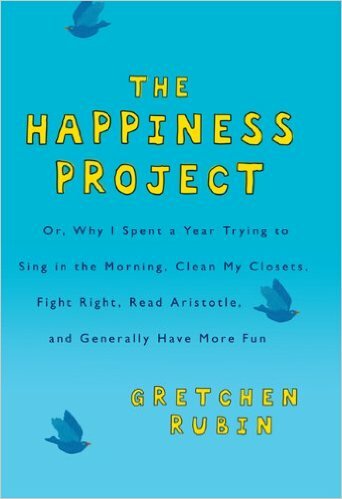 I read through Gretchin's personal journey to happiness. She researched and put things to use that she learned, all in the name of finding inner happiness. It was captivating to hear her results and findings, and I felt that I learned a lot myself. The best for me was dealing with her children. Although mine are 19 and 21, I still feel the practices she used, specifically when talking to them, could be useful to me as well. It's like taking positive reinforcement to a whole new level, and I like it. A great read. If you want a glimpse into happiness though, you have to take note and look inside yourself. That's where happiness lies. You just have to find it, like Gretchin did. I read this and liked it. I agree with you, happiness is inside you! This book sits on the coffee table at my daughter's therapist office so I have been reading it a little at a time. I read one of her other books and I really liked it. Great review! I've heard a lot about this, but haven't read it yet.